We help find recruitment invoice finance for a lot of UK companies within the recruitment sector, so we are very familiar with the issues that they can face when dealing with RPOs, not least of which is how to source services such as finance when they have very narrow profit margins, that are being continually squeezed. When I worked at Barclays, in their factoring division, we never came across these issues as this kind of umbrella purchasing structure has only emerged recently. The driver is that large organisations like the idea of being able to source all their staff recruits from one organisation, so this gave rise to the RPOs, umbrella purchasing organisations that would handle all the recruiting work for the large corporations, effectively placing themselves between the large organisation and the myriad of smaller recruiters. At face value it seems like a good system but there are of course some downsides, particularly for the staff agency down the bottom of the chain. All the purchasing power appears to have migrated up the supply chain. If the parties down the bottom of the chain were able to access a supply chain finance arrangement, whereby the party at the top used their financial weight to secure favourable rates for their many suppliers, the situation may be improved, however this would not satisfy the need of the company at the top to deal with a single point of supply. One of the biggest problems, for those staff agencies at the bottom of the supply chain, is that the RPO is now taking part of what would have previously been their profit margin, and the RPO is also trying to deliver cost benefits to the corporation sitting at the top of the chain. This puts the profit margins of small recruiters under extreme pressure. We have had a number of recent enquiries from prospective customers that are worried about being able to afford any additional financing costs, due the narrow margins that they are making when dealing with these umbrella purchasing companies. Added to this, sometimes the umbrella purchasers are not financially strong enough to support the level of credit limits that the recruiters at the bottom needs in order to get unrestricted funding against their sales invoices to the RPO. We have had to search the market for specialist recruitment finance companies that can take a sympathetic view on invoices to umbrella purchasers, often basing their decisions on the strength of the ultimate customer, the large corporate at the top of the supply chain, rather than the RPO named on the invoices. The other problem to overcome is getting high concentration levels against single debtors or narrow spreads of customers, including umbrella purchasers. Once again we have had to develop a list of financiers that can allow up to 100% concentration levels for single debtors. 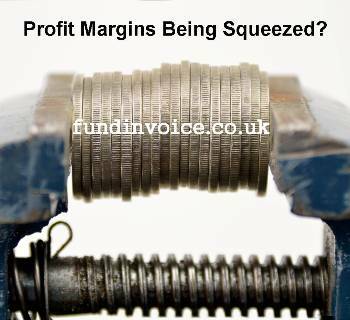 The final component has been ensuring that from the huge list of invoice finance companies in the UK, we have selected funders for our panel that can provide affordable finance costs by delivering the finest rates, minimising the amount that they eat into already narrow profit margins. When we overlay all those requirements, the list of invoice finance companies that can offer unrestricted funding on RPOs at low prices, becomes quite narrow.